Did I have you at chocolate chips?! This Irish Soda Bread might not be the most traditional recipe, but this is Irish Soda Bread with Chocolate Chips people ... and orange zest. Does it get much better than this? You could even go dark chocolate ... oh man ... the ways to turn up this traditional Irish bread. Have I ever told you guys I'm Irish? I guess you could have probably guessed it by looking at my pale skin. My dad is 100% and was a redhead when he was young. I was hoping Flynn man might be a redhead. So far he is not, but he has a ton of red in his hair ... yay! Redheads are so rare these days. Anyways I digress. The point is, St. Patrick's Day is big around these parts. So we are super excited to celebrate. Thinking Flynn might look pretty cute in a leprechaun outfit. In the meantime, hop on over to KitchenAid's blog, the Kitchenthusiast for this Orange Marmalade Irish Soda Bread with Chocolate Chips recipe. 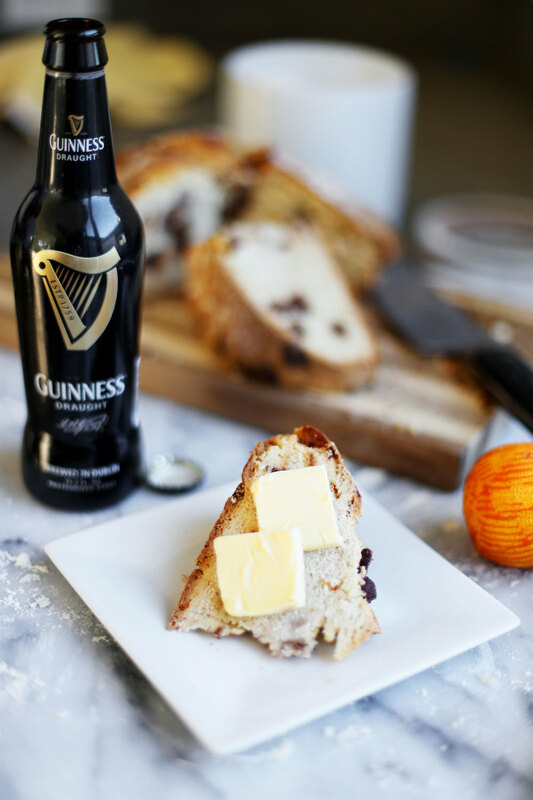 Sweet Irish Soda Bread and Guinness ... a match made in Irish heaven. Speaking of beer, these personalized beer growlers would make excellent St. Patrick's Day party favors. They are from a St. Patrick's Day Beer Tasting I threw for Lauren Conrad's blog ... so much fun. I could look at this beautiful crusty loaf of sweet Irish Soda Bread all day long. Not only do I suggest serving it with a cold bottle of Guinness. I also suggest serving this Irish Soda Bread warm with some butter on top. Just when you thought the yum factor couldn't get any higher I threw that at you ... boom shaka-laka. This might be my favorite Irish Soda Bread ever, but I want to hear your faves. In your opinion what is the best Irish Soda Bread recipe? Let me know in the comments. In case you are interested, here are all of my posts for KitchenAid. And again, bounce on over to KitchenAid's blog for the full post and recipe for Orange Marmalade Irish Soda Bread with Chocolate Chips. 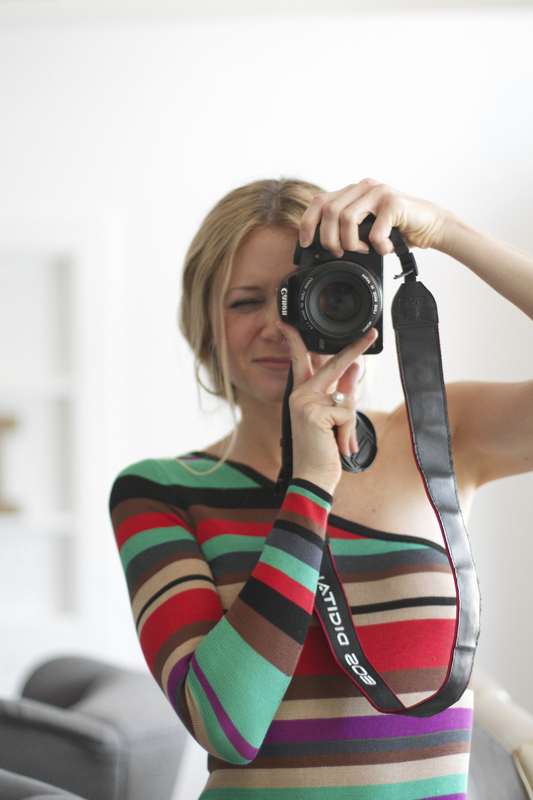 If you find this post helpful, I would love it if you subscribe below! Subscribers get exclusive DIYs and a free party printable collection just for signing up! Subscribe for exclusive DIYs + an instant free party printable collection! Thank you so much for subscribing! I can't wait to be besties! Please check your email to confirm your subscription + get your free party printable collection. Talk to you soon!